Why call it Good Friday? 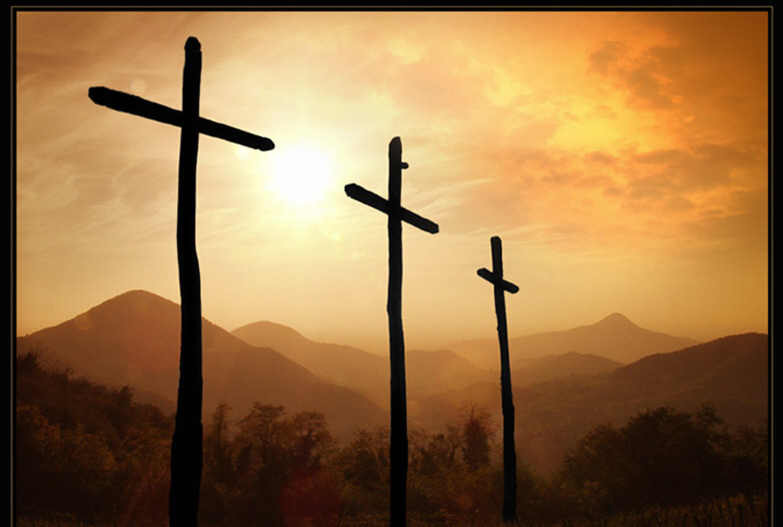 When I was little, I wondered why we called such a somber day, with a worship service that seemed like a funeral, Good Friday. It didn’t seem like a particularly good or happy day. As I grew, I increasingly realized the benefits of Christ’s death and why remembering his suffering was good for us. Today’s devotions from the Book of Common Prayer plan at the Biblegateway website opened my eyes to new revelations of God’s goodness to us through the sacrifice of his Son. If you’re short on time today and feel that you can read only one short passage, you ought to read Psalm 22, a messianic psalm prophesying the death of Christ with remarkably detailed accuracy. If you have more time, I encourage you to read another text that foreshadows God’s sacrifice of his Son, Genesis 22:1-14, relating Abraham’s obedience when God called him to sacrifice Isaac, his one and only son. Since I was a little girl, I realized that this story depicted God’s sacrifice of his one and only Son. Jesus Christ is the spotless lamb who removes the guilt of sin from all who believe in him and obey him, even when the cost seems high. But this morning I realize that I’m called to be willing to give up even my own sons (and daughters!) to God’s plans for their lives. How many parents would write another script for their children’s lives if they could author the play? When our babies are born, we cradle them in our arms with hearts full of hope. We know they will experience trials and temptations, but we hope they will have a good life and we pray for God’s grace. While we know they will have trouble, we tend to cling to our ideals: scholastic success, fulfilling work, and perfect spouse. But academic work is not easy for everyone and not every child is socially popular. Finding work at all can be difficult in today’s economy, let alone finding a lucrative and fulfilling career. Some adult children long for marriage, but remain single in spite of their efforts and desires. And no spouse will ever be able to meet unrealistic expectations of their mate’s parents. We grieve when our children struggle with the pain of infertility or the loss of a little child. We bow under the burden of their cancer, their anxiety, their job loss, their loneliness, or their depression. We don’t like to see our children suffer or struggle. We’d rather go through affliction ourselves than witness it in the lives of our children. We must be willing to give up our ideals for our children and accept what God sends them as his sovereign will for their lives. Their circumstances may not–and probably won’t–be what we’d like, but they are what God–in his inscrutable wisdom–deems best. Therefore, preparing your minds for action, and being sober-minded, set your hope fully on the grace that will be brought to you at the revelation of Jesus Christ. As obedient children, do not be conformed to the passions of your former ignorance, but as he who called you is holy, you also be holy in all your conduct, since it is written, “You shall be holy, for I am holy.” And if you call on him as Father who judges impartially according to each one’s deeds, conduct yourselves with fear throughout the time of your exile, knowing that you were ransomed from the futile ways inherited from your forefathers, not with perishable things such as silver or gold, but with the precious blood of Christ, like that of a lamb without blemish or spot. He was foreknown before the foundation of the world but was made manifest in the last times for the sake of you (1 Peter 1:13-20, ESV). I should not set my hope on ideal circumstances or perfect spouses for my children. My hope must be set fully on future grace, the grace that will be brought to me when Jesus Christ is revealed. During this time of exile, God calls me to be holy and conduct myself without fear. I set my hope on future grace, knowing that I was ransomed from the futile former ways, not with gold or silver, but with the precious blood of Christ! He was known before the foundation of the world, but was made manifest in these last days for my sake! And for yours! No wonder we call this Friday Good! I guess it’s a common misunderstanding!